In the last few weeks, India has witnessed a vigorous debate on its ability to fight a two-front war against Pakistan and China simultaneously. The Army chief, General Bipin Rawat, has for long been asking his soldiers to be ready for a two-front war against China and Pakistan. Speaking at Panjab University last month, Lt General Surinder Singh seemingly repudiated this idea: “People keep talking about a two-front war. It is never a good idea, never a smart idea to fight a two-front war.” In order to avoid such a situation, Singh suggested improving relations with China so that India has some leverage against Pakistan. The fanciful debate, however, came to a cruel halt thanks to the testimony of Lt General Sarath Chand, the vice-chief of army staff, to the parliamentary standing committee on defence. The budget allocated to the defence forces is not enough, the army informed the parliamentary committee, to complete the committed payments for the emergency procurements already made, leave alone for new weapons procurement and defence modernization plans. This is happening at a time when 68% of the army’s equipment is of the vintage category and only 8% of the state-of-the-art category. Abhijnan Rej of the Observer Research Foundation has looked at the two-front force ratios to conclude (goo.gl/mhjtc6) that the balance of military power is shifting rapidly in favour of the China-Pakistan nexus. It is true that India is nowhere near ready for a two-front war but should we aim to prepare for such a scenario? The answer to this question is important because it will help us formulate the right plans for our defence forces. For example, the Indian Air Force will need 42 fighter squadrons for a two-front war. If India decides to pay for 42 squadrons, it would be left with little to cater for the needs of the army and the navy. Moreover, the realization of a two-front war would imply that Indian strategy and diplomacy would have failed at multiple levels simultaneously—not a very realistic possibility. Then how should India move forward? One, India should get its defence procurement process and Make in India strategy into proper shape. The defence procurement procedure 2016 (DPP-16) provides for a strategic partnership model involving the Indian private sector and foreign original equipment manufacturers (OEMs) to produce big-ticket military platforms. 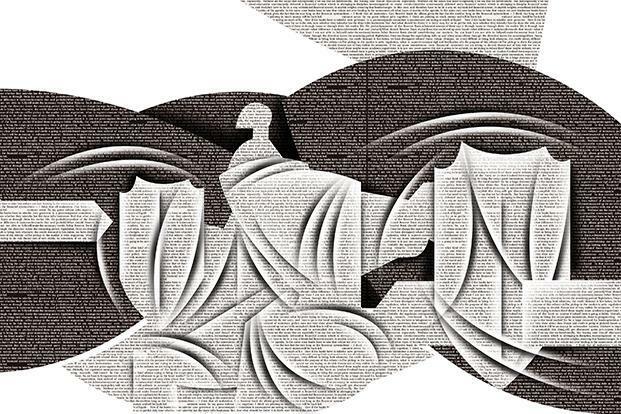 For this model to succeed, the Indian government would need to demonstrate the seriousness of its intent by genuinely levelling the playing field between the private sector and the defence public sector undertakings. Besides, the Indian government and companies have to be realistic in their expectations of technology transfer. The defence industry is sui generis. There are stern export controls on cutting-edge technology in countries where the OEMs are headquartered. Strategic partnership between India and the US—and the christening of India as the US’ “major defence partner”—has helped overcome many barriers to bilateral defence trade. But as the world’s largest arms importer and exporter respectively, it makes sense for the two countries to work together and remove/reduce the clauses from India’s procurement policy and the US’ export policy that work at cross-purposes. Two, India needs to move urgently towards a leaner armed force with greater role for technology and Artificial Intelligence. Over half of the annual defence budget goes to meet salary and pension requirements. This is unsustainable. China is already in the process of downsizing its 2.3 million-strong army to less than a million. A similar process should be initiated in India, especially because future wars are likely to be short and intense and may involve a number of non-traditional domains like cyber and space. Very little attention has so far been paid to preparedness for cyber and space warfare with China, which is miles ahead of India in both these arenas. Three, other than hardware and forces, India needs to get its processes right. If future warfare requires movement in multiple dimensions, India needs to break out of its siloed, bureaucratic approach and move towards integration on two fronts: among the services headquarters, and between the services and the ministry of defence. It is high time India had a chief of defence staff (CDS) serving as the single-point military adviser to the defence minister. The Times Of India reported on Monday that the government will now allow an officer from one service to command personnel from the other two services in the tri-services theatre commands. But this step is too small to be called a genuine reform, and can even delay the creation of the post of CDS. It was Prime Minister Narendra Modi who had said in 2015: “We have been slow to reform the structures of our armed forces… we should promote jointness across every level of our armed forces. We wear different colours, but we serve the same cause and bear the same flag. Jointness at the top is a need that is long overdue.” It is time to walk the talk. India’s defence establishment is marred by the complete lack of an overarching vision—one that would incorporate new-age thinking on warfare and understand the importance of right institutional structures for a range of activities, from force structuring to professional military education, all of which have a bearing on combat effectiveness. Without getting these basics right, the debate over a two-front war seems like a luxury India cannot afford at the moment.